1. Movement skills: 2-handed weapons can only use leap slam, and they are slow = you leap slam slower. dual wielding = more attack speed = faster leap slam, or ability to use shield charge. In the current state of the game where move speed = clear speed this is a serious disadvantage. 2. Itemisation: losing 1 hand = losing a shield or stat stick. For both casters and melee it’s not good deal to trade that for a potential 2nd 6-link. You are losing either on defense or on damage so you need that 6 link even more and that is more expensive. It’s even worse with the current shaper mods. 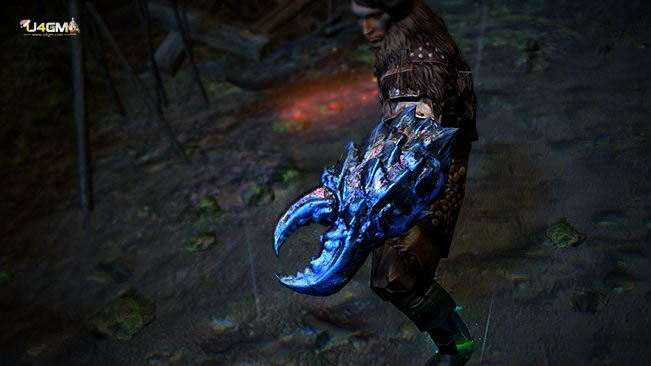 Possible solutions: buff 2 hander affixes, give exclusive mods on 2 handers (chance to fortify on hit, chance for charges on kill or damage taken gained as mana, mana leech from spells, etc). Something that creates specific incentive to go 2-handers. Any other? 3. Tree: are there even any good specific 2-hander nodes? The only thing I remember is Wrecking Ball. Shields have specific block nodes that are useful and currently 2 handers have no identity, and their main point of range is overshadowed by foils. Can we have something like +1/+2 to range with 2 handed Melee Weapons? Or +10% damage effectiveness of spell gems socketed in 2 handed Melee Weapons. 4. Scaling: current DPS is scaled by flat damage, crit, +added (flat or %) and attack speed. With 2 handers you get penalized by having lower attack speed on top of one less stat stick, and dual wielding makes this even more disproportionate – I have no idea how to solve or approach this. Maybe some kind of support gem that scales with less attack speed? Something like your attack speed is 1 APS, % more attack dmg, % more melee AOE. For fast hitting weapons it’s bad because the drawback of losing all increased attack speed they lose more damage than they would gain from this support, but if you have 1.1 APS you don’t lose that much but you can gain clear speed from much better AOE. What’s your opinion?